The 90's era is the new face of fashion. From bright white sneakers, high-waisted mom jeans, and baseball caps the cool-kid vibes of this decade have found their way into modern style. 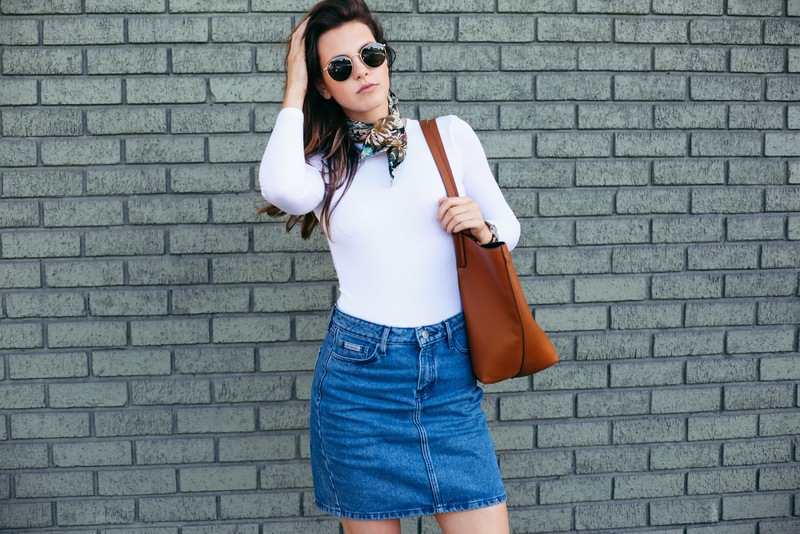 Why: I love the feminity of this classic denim skirt. It's sophisticated but sporty at the same time and the all white accents of this look really highlight the shape of the skirt. I am so happy that I purchased these Pony sneakers! I have been searching for a nice pair of leather sneakers and fell in love with these. I especially like that fact that they are leather because they stay white so much longer. I topped this look off with a floral necktie from Aritzia. Neckties have been my go-to third piece lately because they are so summery! I feel like I should be on a road trip in the back of a convertible everytime I wear one. Takeaway: Keep an eye on the 90's trend this spring and summer and into fall! 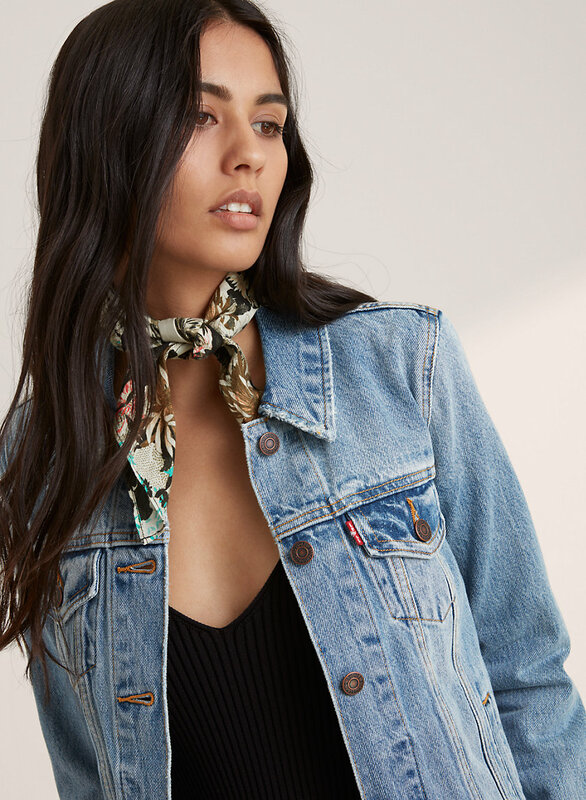 Brands like Reformation specialize in classic 90's inspired pieces so make sure to check them out. If you takeaway anything from this post it should be that everyone should invest in a pair of low top white sneakers going into summer. 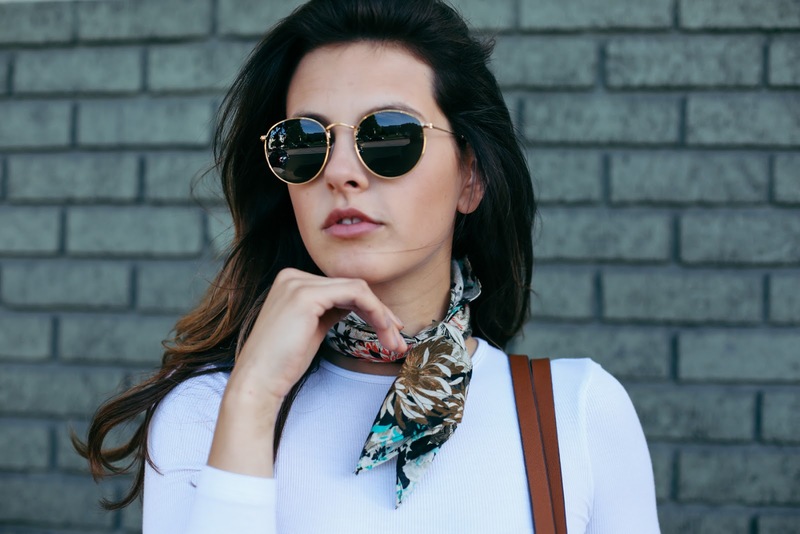 This is one of the most dominating and versatile fashion trends right now. Not only are they practical and cute but you can dress them down with denim, but also dress them up and contrast them with a pretty dress or a midi length skirt for a sportier and more understated chic look.